Wait, that math makes no sense, right? Neither does paying excessive hidden fees on orders, or waiting to hear if you’ll get paid. That’s not the way we do business. 1+1+1=1 because Muscle Foods USA isn’t just one company; we’re actually a mixture of three powerful businesses all striving towards one strong, unified vision. Muscle Foods USA's history actually extends decades before our doors even opened in 2009. Our founder, Joe Mies, had served as General Manager for Bob O'Leary Sports Science (BOSS), once the most formidable name in sports nutrition. Once Bob retired, Joe decided to fashion BOSS into the modern-day Muscle Foods USA, retaining much of the talent that made BOSS successful in the first place. Don't be surprised to hear one of our employees state that they've been working here for over 25 years! There was once a time when pre-workout came in three flavors: fruit punch, blue raspberry, or grape. Protein powders were limited pretty much to vanilla and chocolate, with the appearance of cookies and cream or strawberry here or there. In the past decade, however, Muscle Foods USA has witnessed the Sports Nutrition industry transform into a multi-billion dollar global phenomenon. Noticing this same trend, military distribution powerhouse Eurpac Service, Inc. approached #TeamMFUSA with a unique partnership, adding a third warehouse in Virginia Beach to our roster. Today, 50% of Muscle Foods USA's business resides in the military channel, making sure all of our servicewomen-and-men have access to the highest quality nutritional supplements in their Exchanges, Commissaries, and C-Stores. Healthy competition is always a good thing, but when the competition knocks and tells you they'd like to join forces, you don't ignore the call. Southern Sports Nutrition giant Powershack, led by Mike Banisch, merged with Muscle Foods USA in 2016, cementing a formidable presence amongst Sports Nutrition distributors. This new acquisition also granted us two more warehouses in Biloxi, MS and Houston, TX, a second call center in Biloxi, and expanded DSD truck route capabilities. After these three powerful companies spent some time together forging a new vision for Sports Nutrition distribution, we decided to expand once again, acquiring our sixth and newest warehouse space in South Bend, IN. We now possess over 250,000 sq. ft. of warehouse space in strategic locations all over the nation, ensuring your products arrive as quickly and unvarnished possible. Take a stake in your own future. Muscle Foods USA is a 100% employee-owned company. Wade Roher, President of Muscle Foods USA and Eurpac Warehouse Sales, shares his thoughts on the merger between Eurpac Service, Inc. and Muscle Foods USA. 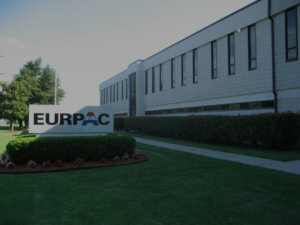 Eurpac Service, Incorporated, and Muscle Foods, USA LLC, today announced that Scranton based Muscle Foods, USA has been merged with Eurpac’s Warehouse Sales Company, in a transaction that closed late last month. “The focus for both of these companies has always been placed on fast, courteous customer service, and disciplined category development. Merging the human talent from these organizations, paired with an expanded operating foundation, will allow us to advance our focus on driving category growth in partnership with our innovative suppliers and retailers,” said Wade Rohrer, President, Eurpac Warehouse Sales. Looking to the future, this assembly of talent and resources will bring positive momentum to our mission: to expand the presence of our manufacturer-partners’ brands while driving consumer engagement and consumption across the dynamic self-health management movement. Eurpac’s combination with Muscle Foods USA creates a strong and growing presence in the specialty retail channel and a wealth of experience and expertise in the sports nutrition market. The combined company is one of the largest and fastest growing Sports Nutrition distributors in the U.S.